Our wild rice is 100% organically certified Canadian wild rice. There is no paddy rice added as fill or to cut back on quality or cost. Our rice is some of the best in the world, it has a deep dark color with a rich nutty flavor. The grains are dark, long and thick, giving the rice a wonderful presentation when served. The rice is grown in the pristine lakes of Nothern Manitoba Canada. Our rice is sold in 1lb resalable zip top bags, or in bulk 25lb bags or 50lb bags. 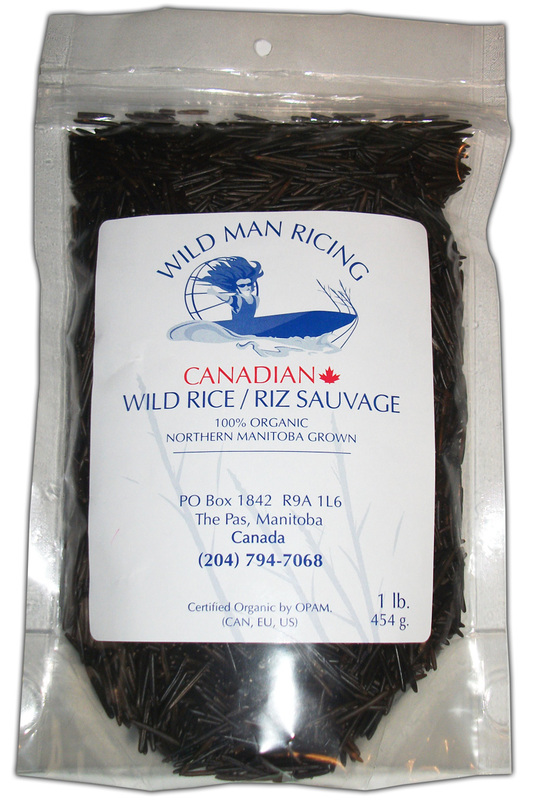 We also have available broken wild rice. NOTE: Orders of 25lbs or 50lbs will automatically come in the bulk bags.